Smith's boneless skinless breasts or thighs, $1.69/lb. Right now you can get an adult and one child membership to the Living Planet Aquarium in Sandy for only $18! That's 50% savings, so hurry and jump on this deal! 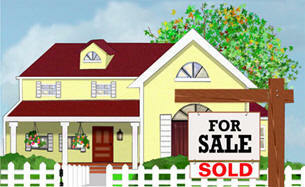 Click on this link to visit the Living Social website and get your deal! 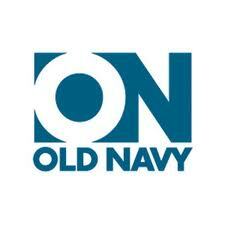 Crazy-Good Deals at Old Navy this weekend! Great deals to be had at Macey's still, hooray for the Grand Opening sale still going on! Smith's is also continuing the Daytona 500 Mega Event, so clip your coupons and get saving! Beef, london broil super value pack $2.49/lb. Beef, rib eye steaks, bone-in super value pack, $4.99/lb. Mountain Dairy milk $1.99 (haven't seen this price in a while! ), $.75 printable coupon on GS website, final price $1.24!! WWW - a day late! Whew, this week is sure zipping by quickly! But there are some great deals this week that I just had to share! I went to the new Macey's in Lehi today and got some great deals! Smith's also has a great sale that started this week, so get ready and go shopping! Visit Grocery Smarts for coupon details and to make your own custom shopping list! And my favorite deal, Crystal Light Drink Mixes, $2.19. Use in-ad coupon for $1/2 and manufacturer's coupon for $1/1 SS6/12, final price $.69! Peaches or Nectarines, $1.98/2 lbs. Chicken, boneless skinless super value pack, $1.69/lb. Ronzoni Garden Delight Pasta (we love this!! ), $1, $1 coupon SS5/15, final price: FREE! Kids eat free at IKEA this weekend! Are you heading to IKEA this weekend to do any shopping? If so, bring your kids and treat them to a free kids meal from July 1-4! Choose one combo meal valued at $2.49. Children under 12 only. Child must be present. Limit one combo meal per child. No purchase necessary. Vocalpoint’s giving away FREE samples of Glad® ForceFlex® OdorShield® with Febreze® Freshness bags. Get yours! I forgot to mention this yesterday, but as I was gong through my coupons I noticed a couple bonus coupons! On the front page of my Deseret News, there's a coupon for $.19 hotdog buns at the new Macey's in Lehi, good yesterday and today. There's also a coupon in the Parade magazine for a B1G1F $5 meal at KFC. Besides the regular inserts, it's always nice to get a few bonus ones too! Grocery Smarts now in Nevada and California! Attention all deal-seeking shoppers in Nevada and California! Grocery Smarts is now in Las Vegas, Orange County, and Sacramento areas! 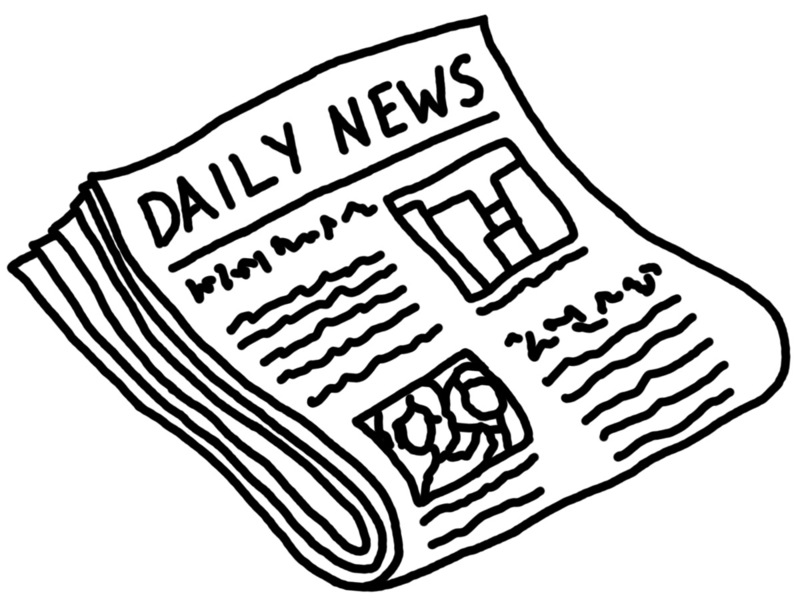 We have great rates for local newspapers, and updated grocery lists for local stores! See the "Newspaper Deals" tab for local subscription rates. And hey, if you can get enough people together for a big class, and are willing to put up with my family and me, I will even travel for a class or two! :) Contact me for more details! Have you heard? Grocery Smarts has a super cool app for Android phones! I just tried it out last night and I love it! Now I can put my shopping list on my phone and not print it out. I can also select how many of each item I want, and it calculates the final price so I can know what to expect to pay at the store! Have you tried it out yet? What do you think? I love free stuff, and free Chick-Fil-A just about tops my list of favorite things to get for free! 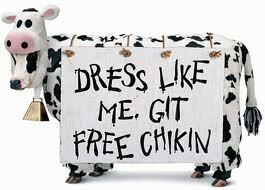 July 8th is Cow Appreciation day, so if you come into the restaurant dressed as a cow, you get a free meal! Click here for a printable cow costume, or you can get creative and make your own! Chicken, Sunny Roost leg quarters $.79.lb. Chicken, Sunny Roost whole chicken, $.89/lb. -Mr. Dees Hash Rounds, crinkle fries, or hash browns, 24 oz. -Western Family frozen orange juice, 12 oz. -Western Family buttermilk pancake mix, 32 oz. Visit Grocery Smarts for a full list of all the sale items and links to all printable coupons. To celebrate Father's Day, Krispy Kreme in Orem is having a Father's Day Ugly Tie contest! Give them your old, ugly tie, and they give you a dozen donuts - for free! My husband has already scoured his closet for some choice cast-asides and we had our own . Don't life in Utah county? 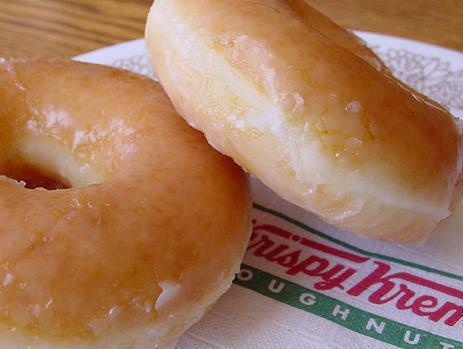 Call your local Krispy Kreme and see if they are participating too! Offer ends on Father's Day. Huggies Sale - buy any 5 participating items and save $5 instantly! Final price $.16 to FREE! Ronzoni Pasta $1, $1/1 coupon SS5/15, final price FREE! With Memorial Day tomorrow, there are no coupons in today's paper. Often on holiday weekends, the papers take a break from coupons too. While we miss the coupons, they usually make up for it with extra coupons the following week! Cook pasta according to directions. In a 9X13 baking dish, spoon in half of the pasta. Spread a layer of red sauce over the noodles, then some of the white sauce - 1/2 cup to a cup of each, depending on how saucy you want it. Spread on half of the mozzarella. Repeat with remaining noodles and sauces, top with cheese. Cover with foil and bake at 350 degrees for 30 minutes, removing foil for last 10 minutes. Serve with breadsticks and a nice green salad. Enjoy! Time for this week's picks of yummy, delicious, and Weight-Watcher - friendly bargains around town! To make your own shopping list, make sure to visit Grocery Smarts and use my code, g84ccg. You will find links to all the printable coupons as well as find deals for other stores in your area. Tomatoes on the Vine $1.50/lb. Chicken - Smith's Split chicken breast, super value pack, $.99/lb. Chicken, Sunny Roost Boneless Skinless Breasts, frozen, $1.69/lb. Chicken, Sunny Roost Fresh Drums or Thighs, $.89/lb. Propel Zero Calorie Fitness Water, $.50, $1/2 coupon SS2/13 makes them FREE! My SIL was at Fresh Market (formerly Albertson's on Main Street) and heard from the store employee that towards the middle of June, Fresh Market will be turned over to Macey's!!! I can hardly wait, I love shopping at Macey's, but it's just a bit too far out of my way to shop there too regularly - but not for long! Can be a $1.44 money maker! Propel Zero Calorie $.50, $1/2 coupon SS2/13, FREE! Western Family Yellow Mustard 24 oz. square bottle, $1.19, in-ad store coupon $.88 each. 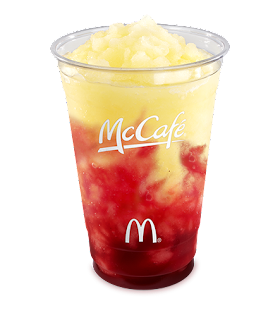 Did you see the coupon in the Parade Magazine in the Sunday paper for a free frozen strawberry lemonade at McDonald's? I can't wait to try it out! There's also a coupon for $1 off a Frapee or Frozen Fruit Smoothie, yummy! I apologize for missing WWW last week! We had our rounds of the stomach bug around here and blogging took a back seat to laundry, carpet cleaning, and re-hydrating some sick kiddos. But I'm back and ready to share some great sales for this week! See the Grocery Smarts website for printable coupons. General Mills Honey Nut Cheerios $1.49, $1/2 SS3/27, or if you've purchase Pampers diapers recently, there's a $1 off coupon making it only $.49! These are the 3 major coupon inserts in the Sunday papers, and the inserts are the same no matter which paper you subscribe to. The only difference is the RP, which either come in a mailer insert, usually on Tuesdays, or are included in the Daily Harold paper available in Utah county. Sometimes newspapers have multiple inserts, so an insert could be designated as SS1 or SS2, etc. if multiples exist. DND: Do Not Double. Sometimes you'll see this on coupons, especially printable coupons, and it refers to double coupon events that some stores occasionally have where they will double the value of a coupon. This does not mean that you cannot use multiple coupons in a transaction. Catalina: These are the coupons/offers that print at the register at check-out at some grocery stores. Coupons are usually store-specific. Beer Rebate: Rebates offered by different beer companies for various purchases. In the state of Utah, beer purchase is not required for the rebate! Have any questions about terms not listed above? Please leave me a comment, I'd love to answer your questions! With Easter Sunday just a few days away, I'm trying to put together a fun Easter dinner menu for my family, and I think this sweet little guy will be taking center stage! Rhodes Rolls are on sale this week at Smiths for $3, and there's a coupon RP 4/10 for $1/2 which makes it $2.50 each when you buy two. 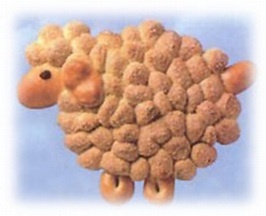 Check out the Rhodes website here for instructions on making your own lamb! They also have instructions on some cute little bunny rolls too! Final price is $3 for 4 boxes of cereal - $.75 each! Ham - Sugar Tree or Dubuque Bone-in spiral sliced, $1.48/lb. Call Chris today and find out what he can to do help you! 801-808-4835. Diapers - I buy most of my diapers lately through Amazon. Their Amazon Mom club gives you a 30% discount every time, and they include free expedited shipping on all orders! To subscribe, go to www.amazon.com/mom, then select which diapers you'd like to subscribe to. I find the Huggies Snug & Dry to be the best value for my kiddos. Baby Gear - my guilty pleasure for cute, high-end baby gear is Baby Steals. Twice of day, at 9am and 9pm, they offer one baby item for sale at 50% off, sometimes even more. They are a local company, located just off I 2-15 and California Avenue, and you can pick up items locally, or they offer reasonable shipping rates. PYP - Pinching Your Pennies has great access to deals for toys, clothing, you name it. You can look at the forums for ideas, or sign up for the Screaming Penny email which sends daily emails with the top killer deals. I still have a few minutes of Wednesday left, and I just wanted to share what I call my WWW: Weight Watchers Wednesday, my picks for great deals at Smith's that are also Weight Watcher-friendly items. So without further ado, I give you my WWW picks for this week! Apples (Red delicious, golden delicious, gala, or granny smith) $1.00/lb. Nestle Baking Morsels $1.25 (SS4/10) When you buy 4 or more, you get $3 off your next purchase making them $.75 per bag. Yeah! With these items, you get a $5 gift card for purchasing 4 items, one GC per transaction, which makes the actual price $.75 per box for the cereal and $.85 I think for the Fiber One bars. Visit Grocery Smarts to make your shopping list and get saving! I think the first question people ask about shopping with coupons is why do it? There a quite a few reason, but the biggest answer for me is because I save a TON of money and get a LOT of groceries! I started shopping with coupons about two years ago after we moved into our new home and our mortgage payment was a tight fit. We cut our food budget in half and it made a huge difference. Besides the whole money issue, we've been able to actually build up a decent food storage. BC (before coupons), we had a pretty sad pantry. I might pick up an extra can of this or box of that, but I didn't have much. Granted, at the time I had a tiny pantry and couldn't fit a lot of extra food in there anyway, but it was still pretty sad. Now, I'm finally building up a good stock-pile of food my family likes and best of all, I'm getting the food for cheap! A little while ago, our city had a boil order on water due to some contamination. People were flocking to the stores buying up all the bottled water and stores could hardly keep up with the demand. I never went to the store once that week since I had 7 flats of bottled water as well as a few liter bottles. We also had a stash of juices and punches for the kids. That was nice. There are other reasons to coupon shop, and I'll address more of those in the future, but I just wanted to share a few of the main reasons first. For the few people out there who have checked out my cooking blog in the past, I hope you don't mind, but this blog is going to be taking on a new direction of sorts. Instead of just sharing recipes, I'm also going to start adding more posts about couponing and saving money! (and who doesn't love saving a few dollars here and there?) For about a year now, I have been an instructor with Grocery Smarts and I'm excited to have a new forum for people to come to who have taken my class or for those who are interested in learning more about saving money on groceries. Being a busy mom, I know how hard it can be to try to save money but also provide healthy, interesting, and yummy meals for your family, so I will do my best to share a few things that work for me and my family!